Which Comic Strip Was Never Intended To Be Funny? What Is The Most Popular Cellphone In The World? Who would create a comic strip that was never intended to be funny? 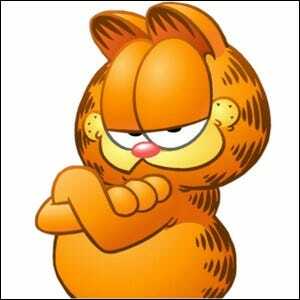 A man with a plan–Garfield creator Jim Davis. Davis had studied comics, including the iconic Peanuts strips by Charles Shulz, and realized that the real staying power lied not in cutting edge humor and constant innovation, but in predictability. People didn’t love the Peanuts gang less when the strips became repetitive and predictable, they loved them more. He made no effort to hide the fact that he created the orange cat explicitly to market him. In a 1982 interview with the Washington Post, Davis explained that the motivation for creating Garfield was “a conscious effort to come up with a good, marketable character, and primarily an animal–Snoopy is very popular in licensing. Charlie Brown is not.” And marketable he was–Davis routinely spent most of his time marketing Garfield and less than a full day’s work every week actually drawing the strip. Over thirty years after the strip’s debut, we find Davis’ technique to be undeniably successful. Despite the very dubious quality of the humor in the Garfield strips, it is the most widely syndicated comic strip in the world.